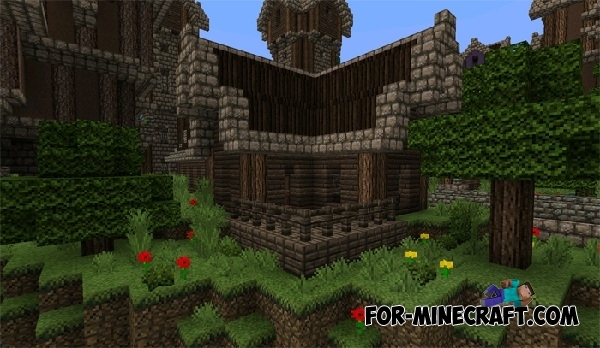 John Smith Legacy is the oldest texture-pack for Minecraft Pocket Edition which will transform your world with medieval details. Moreover, author has released an update for the new version of MCPE. 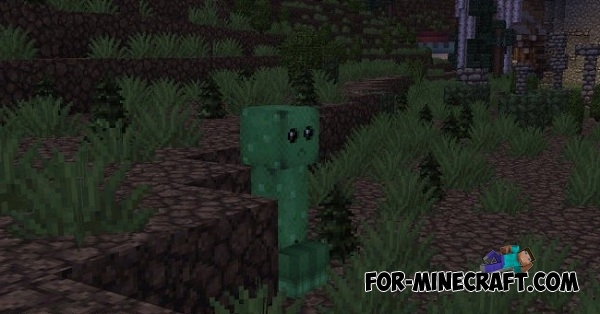 It's all the same great texture pack, with which objects around you will become more colorful and realistic. After installation of John Smith Legacy, you will find yourself in the 16th century when the houses were built of stone and wood, the streets were illuminated antique lanterns. Finally, if you're a fan of the Middle Ages, then you will like this pack. And of course, all versions can be downloaded from the links below. Support for MCPE 1.2 (MCBE). Fixed bugs with some textures. Beta support for MCPE 1.1. Some blocks have not been changed at this time. Full support for PE 1.0. Fixed bugs with vegetation for those players who complained about lags. Plants now look normal, you will not see the dark colors. 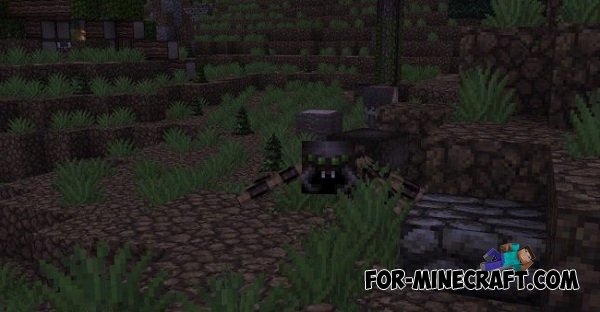 Mobs textures now have the right look and color. Improved lighting and bugfixes of incorrect displaying of brightness. 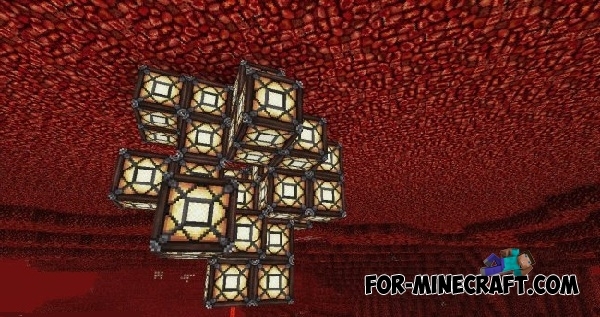 Copy the downloaded file here - «resource_packs» folder. Start the game and go to the settings -> global resources. Select the texture pack, and then restart the game. 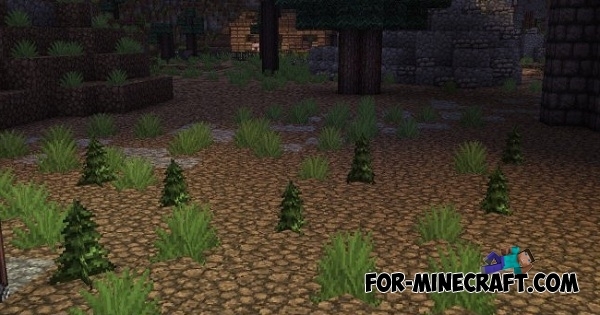 Medieval Realism Texture for Minecraft PE 0.14.0Medieval Realism - this is a very realistic texture pack with which Minecraft PE will be much more interesting. It has the highest resolution of 128x128. 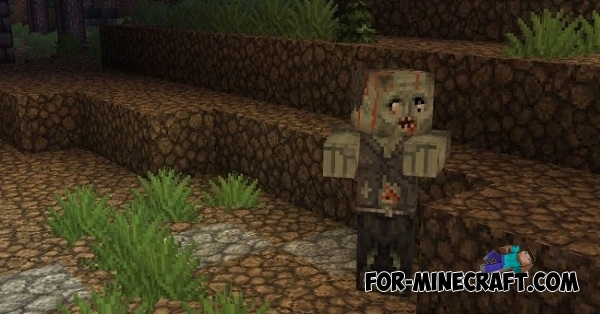 Minecraft PE 0.12.0 - next updateUpdate of Minecraft PE to version 0.12.0 will be one big celebration for all players. 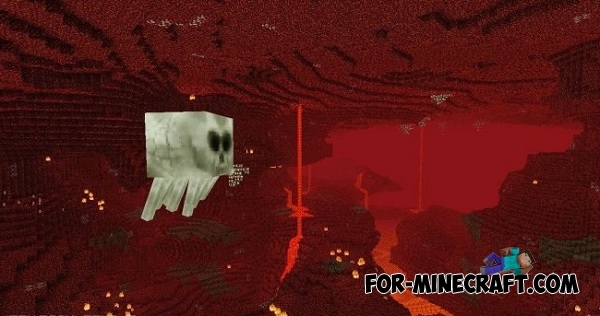 In the next version we can go to hell, to die of hunger, fight with witch, and more! 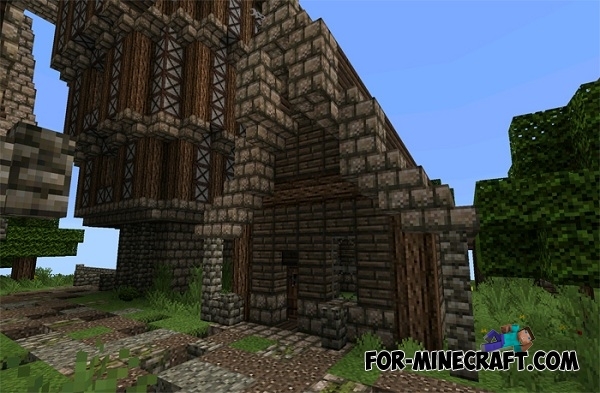 John Smith Texture Pack 0.10.5/0.10.4John Smith Texture pack completely transforms the graphics Minecraft Pocket Edition in rustic style - it looks very cool.